Dr. Neale understands you have unique treatment goals and personal clinical concerns. He will develop a custom care approach that addresses all your needs and fits your lifestyle. 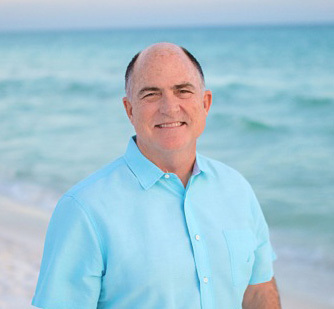 Since opening his orthodontic practice in 1987, Dr. William Neale has wanted to make a difference in people’s lives by giving them a beautiful, healthy smile that lasts a lifetime. He feels fortunate to be in a profession that he is so passionate about, and in which he has the opportunity to serve the community where he grew up. By getting to know each patient and treating his or her individual needs, Dr. Neale gives everyone superb orthodontic care in an upbeat atmosphere. Dr. Neale’s team is friendly and knowledgeable, and always strives to be the best at their profession. Each team member goes out of their way to get to know the patients and their families. Dr. Neale grew up in Fort Walton Beach. He is married with four children and four grandchildren. Outside the office, Dr. Neale enjoys spending time with his family and friends. He also rides a Harley-Davidson motorcycle, and is an avid fan of the University of Florida Gators. Being active in the community is important to Dr. Neale, so he devotes his time to the Children’s Volunteer Health Network and the Give Kids a Smile program. The Give Kids a Smile program provides charitable orthodontic work for children who do not have the economic means to get treatment.